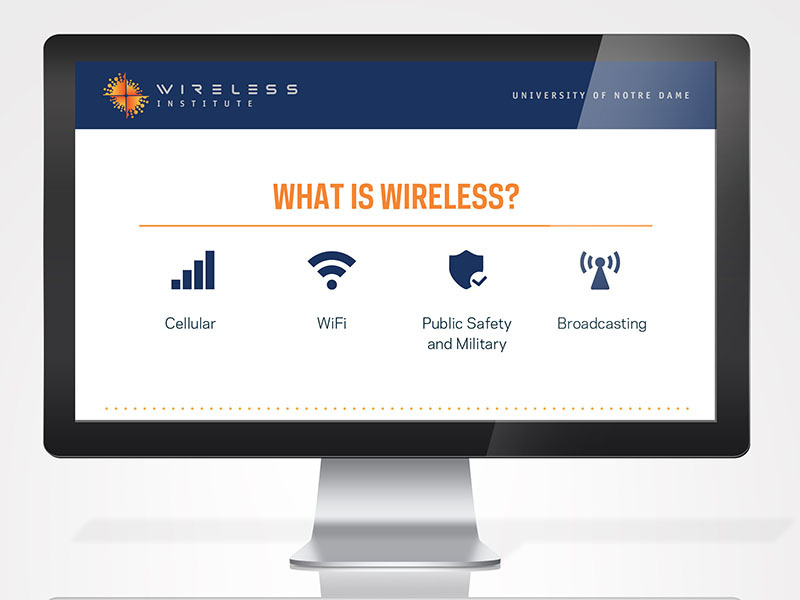 Powerpoint presentations are always dull, corporate, and full of content that the viewer never absorbs. 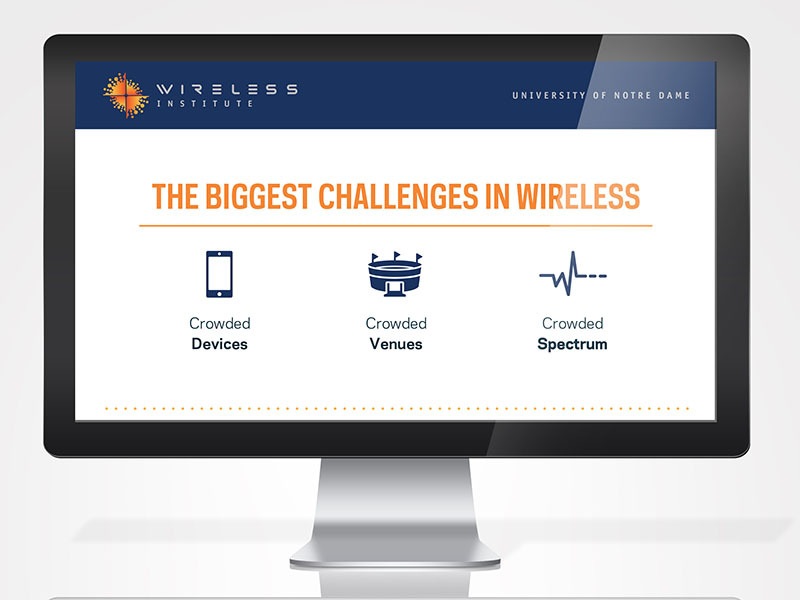 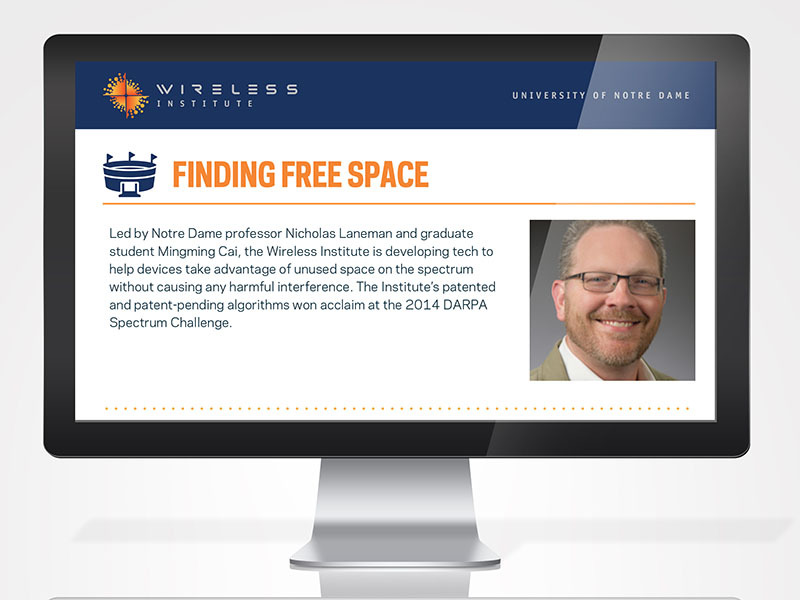 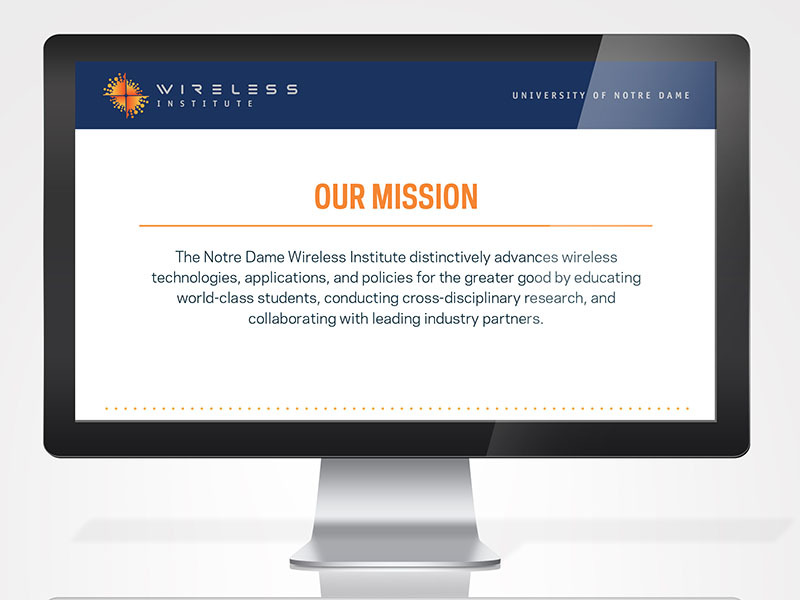 I took a completely different approach when designing a vibrant and informative Powerpoint presentation for the University of Notre Dame’s Wireless Institute. 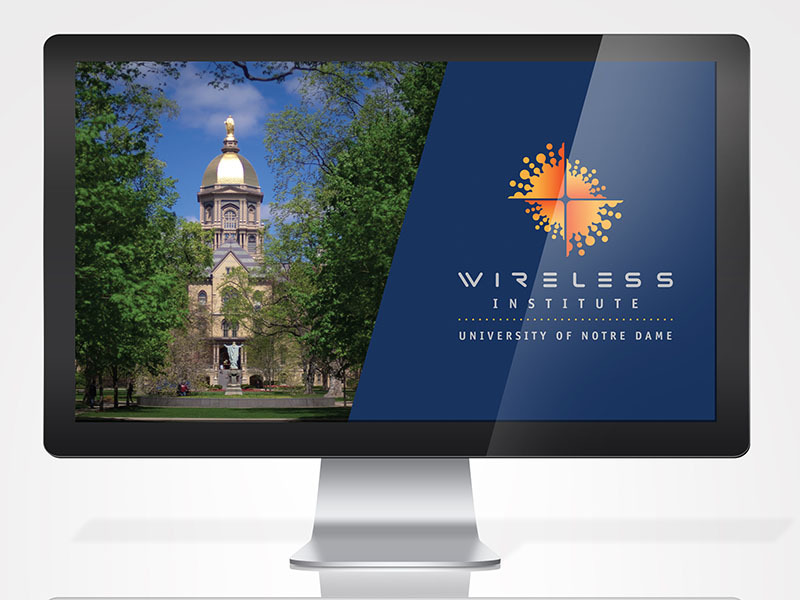 This presentation tells the Institute’s story in a simple, compelling way by using great typography, iconography, and quick messaging.